The Celtic Tenors will make a long-awaited return to St John’s Cathedral in Sligo for a concert on Friday, June 26 at 8pm. 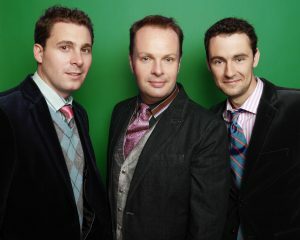 TRIO: The Celtic Tenors (l-r) Daryl Simpson, James Nelson and Matthew Gilsenan. Sligoman James Nelson and fellow tenors Matthew Gilsenan and Daryl Simpson will perform in aid of the Sligo branch of the Alzheimer Society of Ireland. They will be joined by guest performer Donna Malone. Speaking to the Sligo Weekender ahead of their concert, James Nelson said the charity which will benefit from their performance has a very personal resonance. “We decided this time to try to help the Alzheimer Day Care Centre in Dunally because they have been so good to my Dad since the onset of his Lewy Body Dementia in 2012. “The Dunally Day-care Centre are incredible, are seriously under-funded and need the help. Every family sadly has some experience of dementia. It used to be a case of people ‘doting’, but now in the 21st Century there are so many labels. “Dad is now in full-time care in Nazareth Nursing Home, and the staff there are incredible – it really is a beautiful place, and as positive as nursing homes can be. But for the last couple of years Dad went out to Dunally three or four times a week, and felt very welcome there. And he is looking forward to returning to this particular Sligo venue too. “Having grown up in the Church of Ireland, St John’s was our family church for a hundred or so years before I was born. So what can fans of the Celtic Tenors expect to hear on June 26? “Because of the nature of the evening, and with the link to the Alzheimer Day-care centre, “The Dutchman” is a very special song for us every night, but perhaps even more so in Sligo. “This love-song talks about a couple towards the end of their lives, where the man is clearly suffering from some kind of dementia. Everyone joins in the chorus no matter where we perform it across the world, and it is one which always strikes a chord with many. “On our new album, I particularly love the Dolly Parton song at the moment – no, it’s not “9 to 5” – it’s a beautiful little love-song which talks about loving someone ‘from here to the moon and back’. The new album that James refers to, “Timeless”, is the Celtic Tenors’ 12th album to date. It will be released later this year. James admits that the previous albums “have covered a lot of the Irish, Celtic, Classical Crossover, even American repertoire” so something new was suggested by their record label Decca (part of Universal). “The record company suggested this time to do an album of 70s and 80s pop ballads, ones we all grew up with. As a harmony-based group. this proved (we think) to be a perfect fit, and we hope people will agree. That album will be released later this year, but after the concert in Sligo James, Matthew and Daryl will be doing something unusual, taking a break! “We usually take July off, for our own personal holidays, or indeed for my annual trip to Kenya. This year I am taking a year off from Kenya, and concentrating instead on raising money for the Kenyan kids’ university fees. “It is so encouraging watching the kids we started out with way back in 2006/2007 now going to college and university, and graduating as nurses, engineers, teachers, and in the hotel/management industry. He continues: “In August we are part of the big Irish Festivals in the USA, including the famous Milwaukee Irish Fest. Then in September ‘Timeless’ will be released out of Sydney and then worldwide. 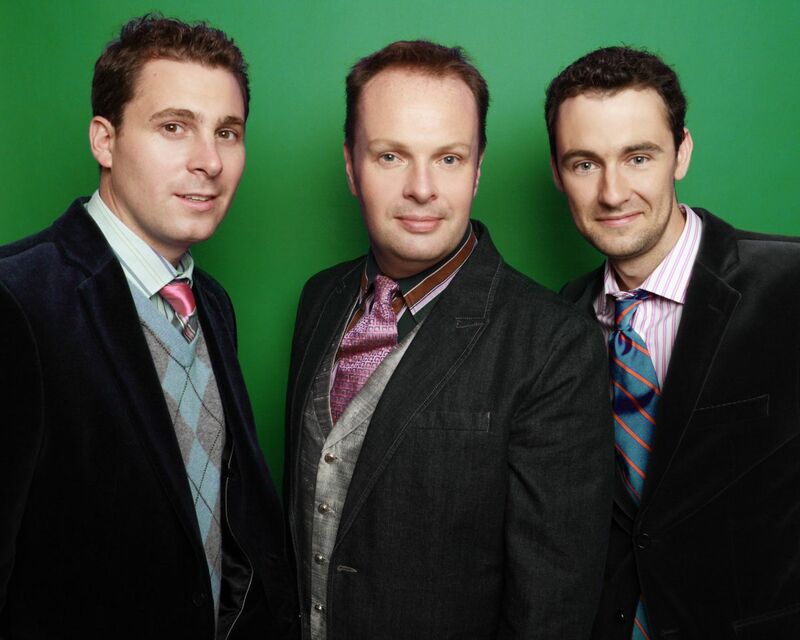 So you better catch the Celtic Tenors in Sligo on Friday, June 26 at 8pm, because you never know when they will be back around this way again!TextThe Celtic Tenors perform in St John’s Cathedral, John Street, on Friday, June 26 at 8pm. Tickets for the concert cost €22.50 and can be bought in advance from Liber Bookshop in O’Connell Street or online at www.eventbrite.ie. You should get your tickets in advance as there is limited capacity in the venue and the demand is expected to be high.